Located on the fields just west of Cornerstone Church in Ames. Cyclocross Racing Comes to Ames! Finish your season off with the coolest new venue on the cyclcross scene. Located conveniently and the intersection of 35/30 in Ames. 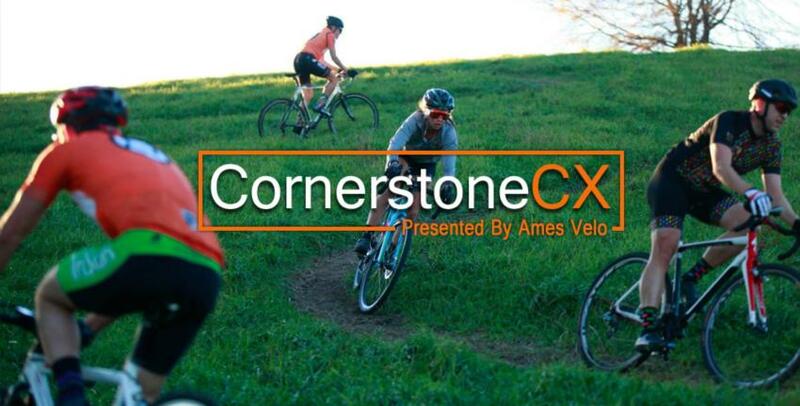 CornerstoneCX will feature 2 waves of races on 2 separate courses. +This is a 7-9 minute course (~1.2 miles in length) featuring a short section of gravel, loads of undulations, and plenty of twists and turns. +These races will run in a "standard" format and are just a little shorter to help everyone stay a little fresh for the second wave of races. +Top 5 racers from each race will qualify to move on to a "Qualifiers" race in the second wave of races. + This is a 4-5 minute course (~.8 miles in length) with some challenging hill work, fast technical turns, and with some flat technical sections sprinkled in. +Qualifiers may be placed in a higher Pool by permission of the Chief Judge.